The features and the flexibility you need today and tomorrow. 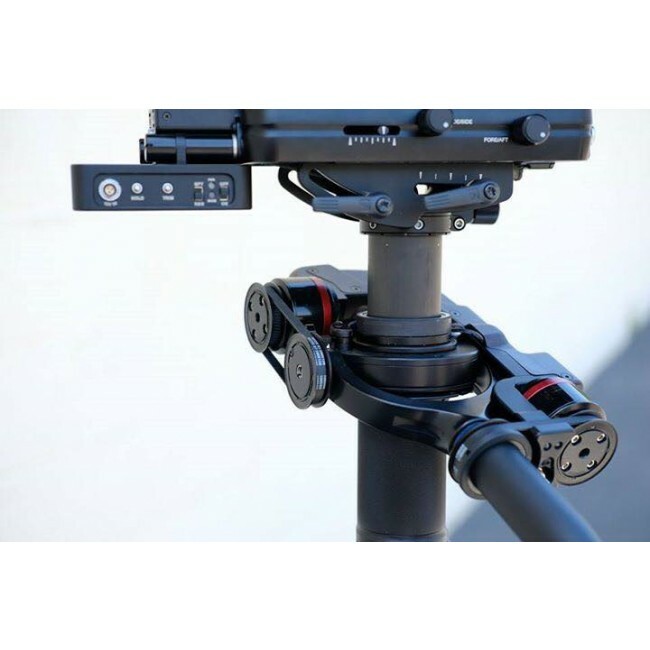 Drop-in secure camera balance adjustment mounting system. Easily adjustable dovetail clamp with precision ground stainless security lock guide rails. Industry standard, 15 mm diameter rods. Vernier drive tilthead. Multiple high amperage power ports, tally systems interconnect. Stage can be easily removed from the central post for cleaning or repairs. Ultra smooth bearings allow ultra-smooth operation. M1-Volt sofisticated new operating lets sit and wait. 2.15 inch grip. Low profile quick release post clamp. Removable/interchangeable gimbal clamp field serviceability. All M-1 supplied monitors are custom mounted to precisely locate their CG. 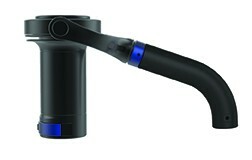 Utilizes industry standard threaded 15 mm diameter rods. 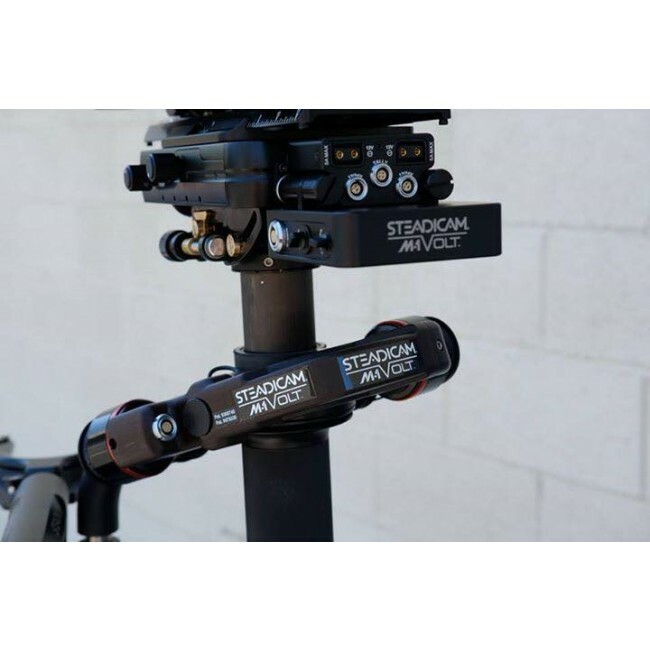 Quick release monitor rod clamp system. Unique monitor pivot mechanism. Rapid release rod safety stops. Two indexed posts are standard with the M-1. Length of 26" to 41". Rigid high modulus carbon fiber construction. High amperage, high flex life post power wiring. Low profile quick release post clamp. True HD-coax video cable integration. 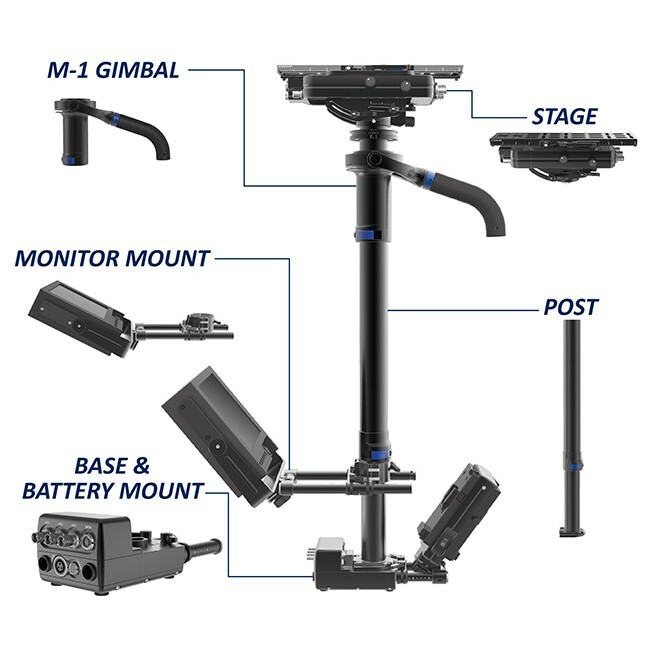 Interchanging or removing of post for gimbal service is simple and easy. Extreme low profile for maximum height adjustability. Universal cheese plate for accessory mounting. Dual 12/24 LED power indicators and easy access 12/24V switching. Smooth glide rod guides. Dual 12V D-Taps. Tally System: Standard.